New Englander style home located on a 0.44± acre corner lot within walking distance to Downtown Franklin * 2½ story home built circa 1890 offers 1,808± SF GLA, 8 rooms, 3 bedrooms, 1 bath, & full base¬ment * Home features large enclosed wraparound porch, vinyl siding, fireplace, & FHW/oil heat * Serviced by public water & sewer * Tax Map 118, Lot 107. 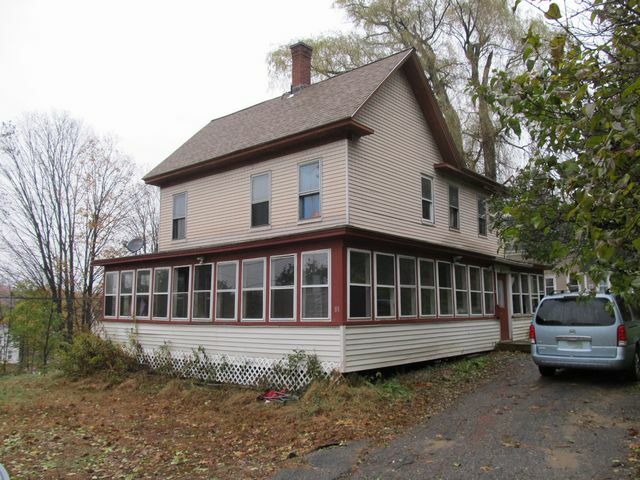 Assessed value: $128,600. 2018 taxes: $2,824. Mortgage Ref: Merrimack County Registry of Deeds Book 3053, Page 124. Sale per order of Mortgagee by its Attorneys: Preti, Flaherty, Beliveau & Pachios, PLLP, Concord, NH; Gregory A. Moffett, Esquire. Terms: $5,000 deposit by cash, cer¬tified check, cashiers or treasurers check, bank draft, or other form of payment acceptable to Mortgagee at time of sale, balance due within 45 days. Other terms may be announced at time of sale. All information herein is believed but not warranted to be correct. The Mortgagee does not warrant the condition or existence of any feature described above. Full Description: New Englander style home located on a 0.44± acre corner lot within walking distance to Downtown Franklin * 2½ story home built circa 1890 offers 1,808± SF GLA, 8 rooms, 3 bedrooms, 1 bath, & full base¬ment * Home features large enclosed wraparound porch, vinyl siding, fireplace, & FHW/oil heat * Serviced by public water & sewer * Tax Map 118, Lot 107. 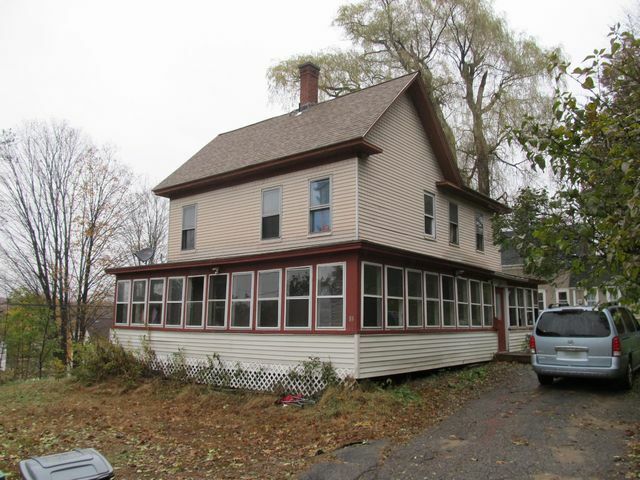 Assessed value: $128,600. 2018 taxes: $2,824. Mortgage Ref: Merrimack County Registry of Deeds Book 3053, Page 124. Sale per order of Mortgagee by its Attorneys: Preti, Flaherty, Beliveau & Pachios, PLLP, Concord, NH; Gregory A. Moffett, Esquire. Terms: $5,000 deposit by cash, cer¬tified check, cashiers or treasurers check, bank draft, or other form of payment acceptable to Mortgagee at time of sale, balance due within 45 days. Other terms may be announced at time of sale. All information herein is believed but not warranted to be correct. The Mortgagee does not warrant the condition or existence of any feature described above.